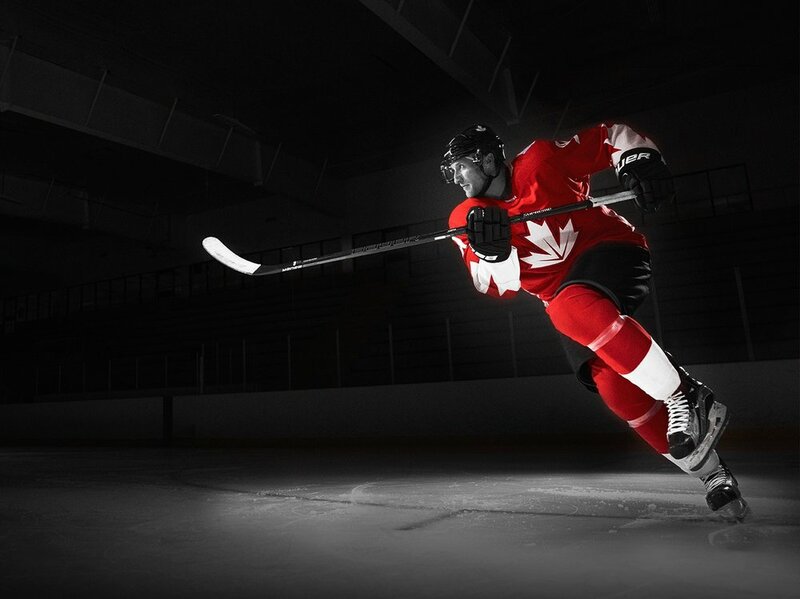 As a partner with the NHL and the 2016 World Cup of Hockey, this campaign activated across multiple channels to promote the event and drive sales of jerseys and merchandise in SportChek stores. The in-store, PR, and social activations allowed the brand to have a share of voice in the year's biggest best-on-best hockey tournament held right in Toronto. Marketing material featured sponsored athlete Steven Stamkos, who was selected as a member of Team Canada. A summary of many executions of the campaign including marketing videos, in-store customer engagement, on-air broadcast features, and the making of the "SportChek hockey throne". Primary marketing assets featured SportChek's sponsored athlete Steven Stamkos. This imagery would serve as a foundation for all creative that was produced for digital (including website, third party banners, in-arena displays, and in-store). 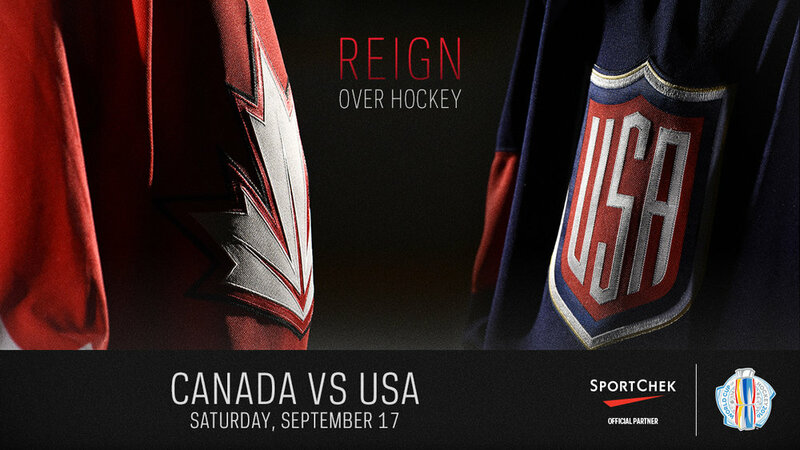 A "SportChek hockey throne" was conceived and created to tie into the campaign tagline of "Reign over hockey". It was placed in the Mapleleaf Square (MLSQ) store in Toronto where fans could get their photo taken with it. 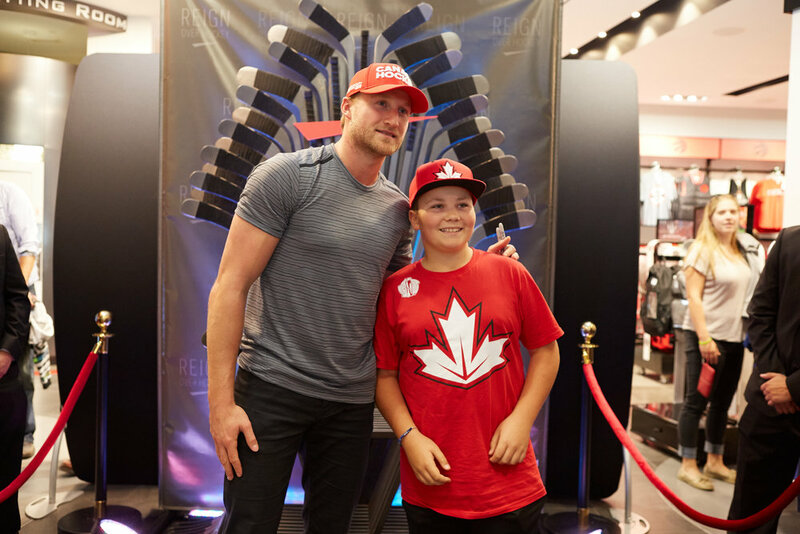 Special guests (including Wayne Gretzky, Mark Messier, Steven Stamkos, Johnny Gaudreau, and more) were also brought in to take photos with customers and the throne. This corresponded with live interviews that were simultaneously aired on social media. 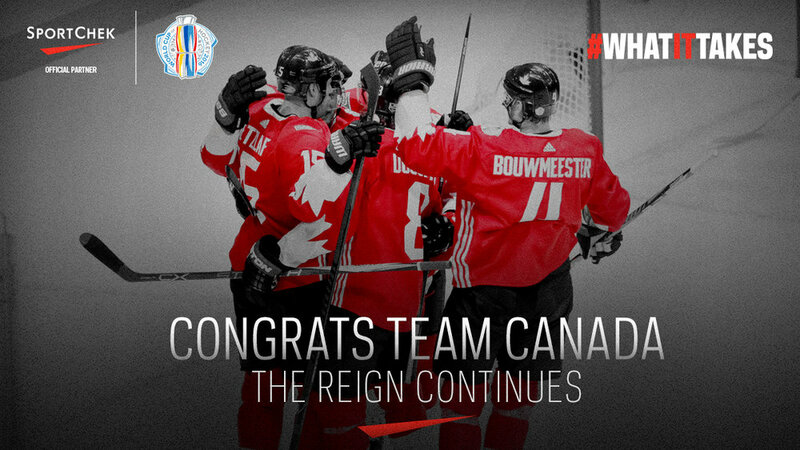 Additionally, to support the event and keep it top of mind, SportChek's social media covered the games and matchups including reaction to Team Canada games.